More than just design and copy—a data-driven, rigorously tested approach to effective marketing design. Whether Paper or Pixels™, make the first impression the right one. From proven direct mail design that improves response rates to dynamic, benefit-driven copy that motivates action, our creative captures attention and drives results across multiple direct marketing channels. By combining industry leading data-driven marketing technology with extensive experience in concepting, designing, and testing omnichannel marketing campaigns, we drive higher response rates and return on marketing investment (ROMI) for our clients. Because our creative team works closely with our strategy, data, execution, and postal experts, our creative campaigns deliver better results and increased efficiency to optimize your investment. Our creative services won’t just entertain your customers and prospects—we’ll put them in motion. 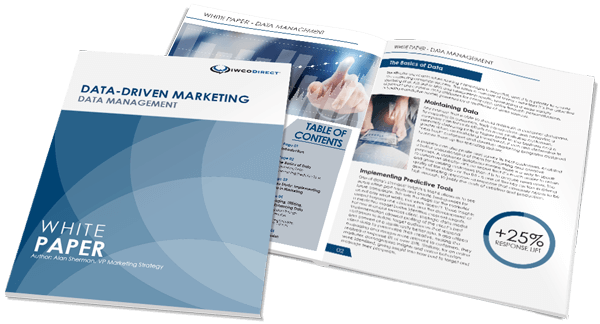 Our direct mail designs will put your omnichannel campaigns at center stage and drive performance across all your direct marketing channels. That’s how we Power your Marketing™.